First, I did read the entire book, all 1700+ pages. At times, I did want to skip sections and chapters but I did not. This is a very densely packed book of technical information. While the back cover says the book is for intermediate to advanced programmers, I would recommend it for advanced not intermediate programmers. I did find some the screen shots difficult to read due to the small size of the content of the image and poor contrast between the background and foreground. In some cases, a color (instead of black and white) image may have helped with the contrast, making it easier to read. I am someone who is trying to learn the C# language. This book was a little over my head. I was looking for something closer to the intermediate level for my current level of learning. I plan to keep the book for reference, because I do plan to get to the advanced level. 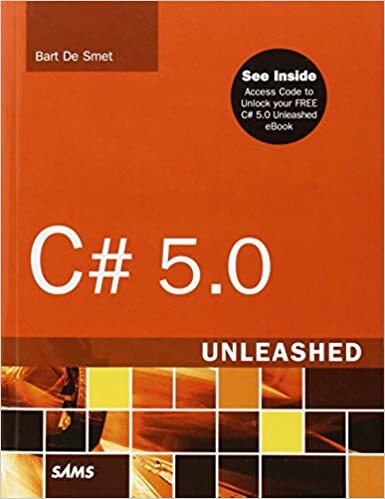 If you have an advanced understanding of the C# language and want to learn more, this book, “C# 5.0 Unleashed“ by Bart De Smet ” is to add to library.